The newlywed has maintained a comfortable and chic style since rocking her tummy and we think she looks great. 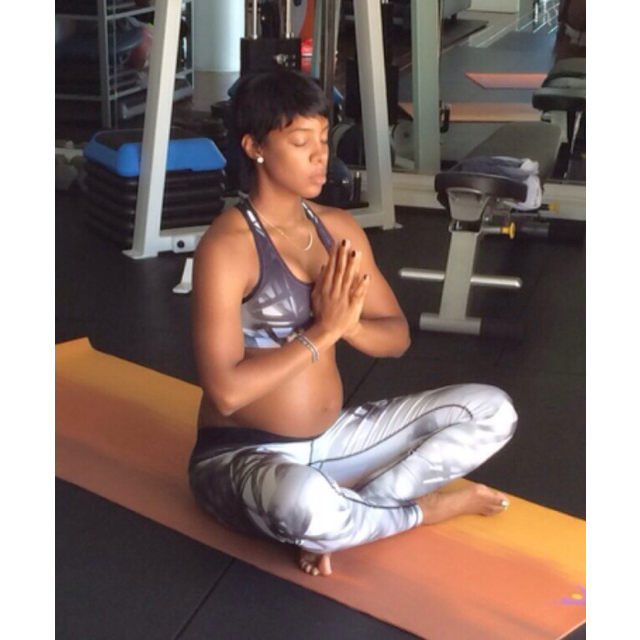 Singer and actress, Kelly Rowland, has had a permanent glow since revealing her baby bump. 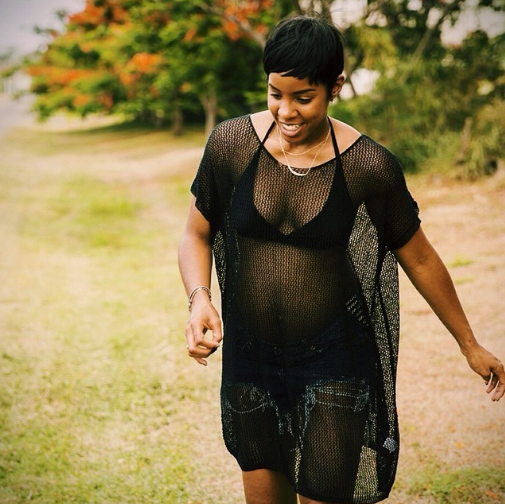 She and hubby, Tim Witherspoon, appear to be in a good place and we love how equally excited they are to welcome their little one into the world soon. Kelly and Tim off to lunch. Keeping fit and healthy throughout her pregnancy and she's looking good! A lovely ode to her younger self, Kelly's short hair reveals her gorgeous features. We love the retro mesh top! The 33 year-old and her husband are expecting a baby boy.